Happy Friendship Day! | "On Dragonfly Wings with Buttercup Tea"
each year as Friendship Day! It is also International Friendship Day!! This entry was posted in Hay(na)ku, Reverse Hay(na)ku and tagged bonds, friends, Friendship Day, friendships, gifts, Haynaku, reverse Haynaku, support, support system, treasures. Bookmark the permalink. 14 Responses to Happy Friendship Day! Beautiful and so true. friends are one of the biggest support systems in my life. I’m so sorry for being late… Still adapting to my new surroundings. But, it turns out to be a perfect day to arrive here. Happy Friendship Day! Thanks for sharing. How true. Friends are all of those and many more. You have 9 cats and 3 dogs? My, that takes great efforts to manage.I had Clyde (Tom Cat) once before just him alone and it was already very testing. We had to send him to a Pet Hotel when we had to go outstation for a few days ( not to mention clearing the litter every couple of days) And you have 12 of them! Real dedication! BTW Thanks for dropping by! 😀 … I wish I could relax and clean litter every couple of days … try twice a day! 😀 Thank you for stopping by! 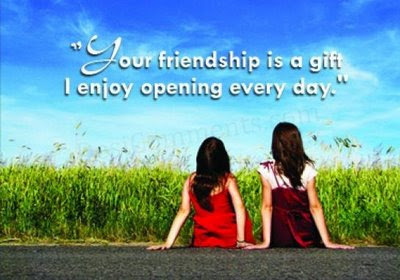 I didn’t know about international and national friendship day until I read your post this morning (Monday). I slept through Sunday, so I’ll have to make this my unofficial friendship day. Thanks for pointing out a very special day! For sure, Becca – I just had one of these today! May you be blessed with as many as you need. Amy – may you also be blessed with as many as you need! I appreciate your stopping by and leaving such kind remarks! Happy International Friendship Day! Priceless treasures, indeed. So well put and so very true. Trust, the foundation of all friendships. One of the greatest gifts on earth! Thank you, Mariela … Thank you for visiting!